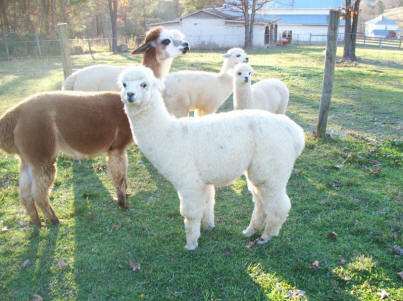 Double "A" Alpacas; Alpaca Breeders and Brokers of Huacaya Alpacas in Monroe County, West Virginia. Featuring elite bloodlines that offer quality genetics. 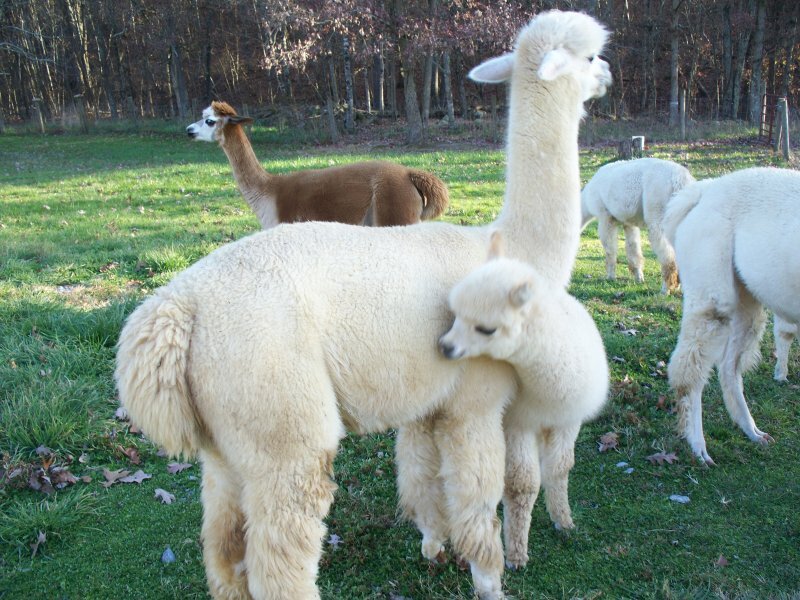 Our dedication and firm resolution is to consistent upbreeding and superior bloodlines for improved quality and value in every alpaca we breed. 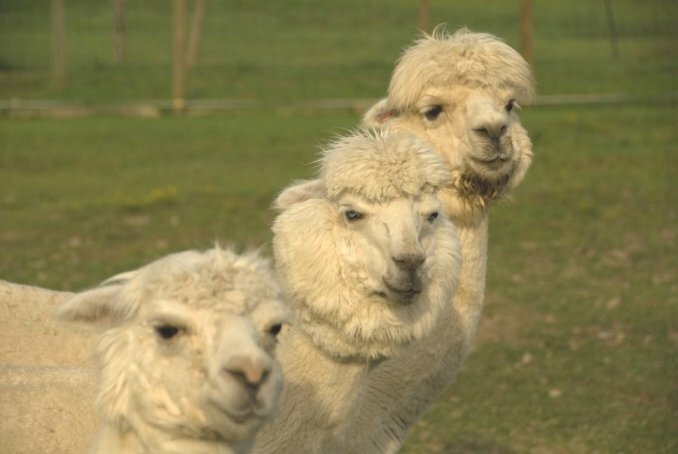 Our passion and commitment is to promote alpaca farms and ranches; to foster the continuation and heritage of a rural lifestyle. 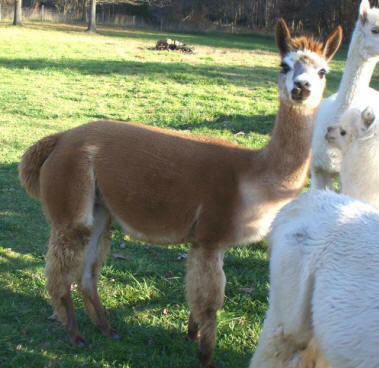 Our alpaca sales list features elite bloodlines offering quality genetics of Huacaya alpacas from such famous imported herds as Peru's Accoyo , Boliva's Acero Marka, and Chile's Cava. 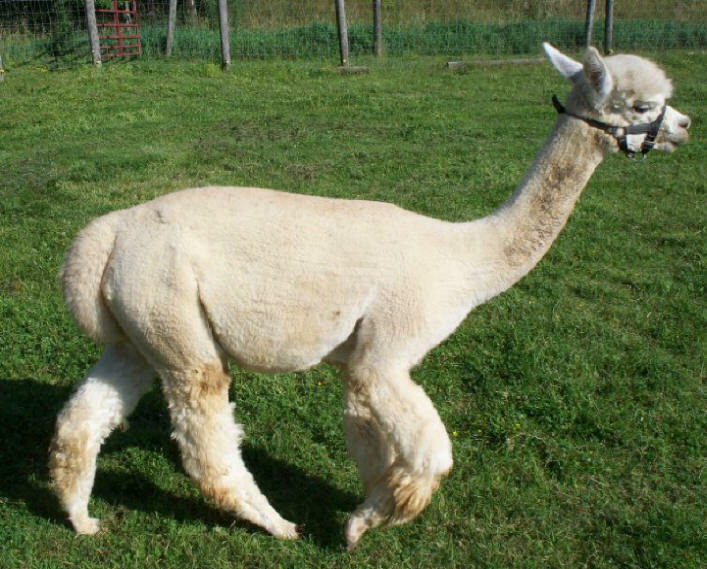 After a five years of building our foundation herd and obtaining modest success as alpaca brokers, the great sellers of other peoples animals, we are proud to finally announce a select group of Double "A" Ranch alpacas for sale. 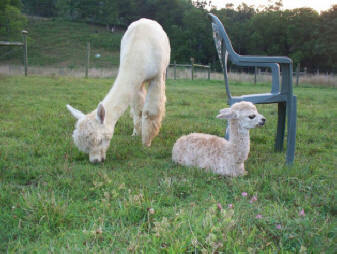 Some of the "youngsters" from the website are finally grown and proven with cria of their own. Others, will be made available as unproven or open for breeding this year at reduced prices. 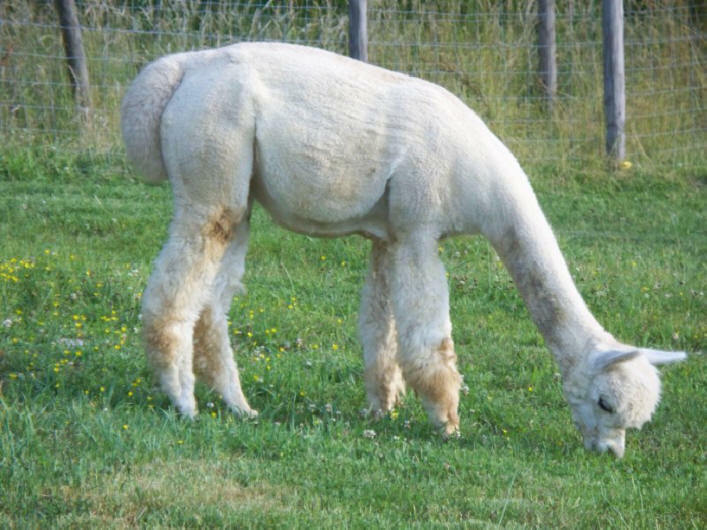 Remember, we are still very active alpaca brokers as well and will continue to find superior bloodlines at tremendous savings outside of our Double "A" Ranch alpacas currently for sale. Mr. Chip's Angela Rose was the first born to us here in WV spring of 2008. 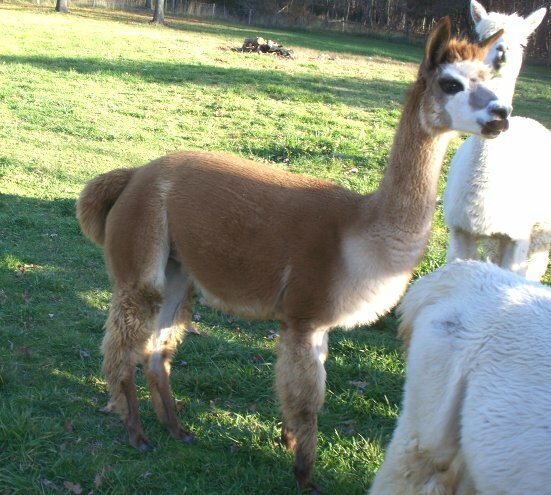 1/2 Peruvian 1/2 Chilean, she has beautiful medium fawn color markings a great disposition for easy handling and lovely genetics on both sides. Rose is proving to be an excellent and very attentive mother as seen below with Olivia Ann born May 28, 2011. Maynah Skye is an adorable proven young dam with impeccable fleece; quality and coverage. Large boned with perfect conformation, May sports a gorgeous light beige coat while harboring color champion genetics including pure black from her award winning sire. She was born to Snoball and is another super "Zach" kid. Zachariah C has won many awards for his fiber and it's easy to see he is passing along those stellar genetics to his daughters. Bred to Sir William Wallace Maynah Skye delivered a delightful cria. Seen here, Wakefield, has inherited his mom's perfect top knot. © 2005-2014, Double "A" Ranch, LLC All rights reserved. Reproduction in whole or in part without permission is prohibited.